Last night I saw a clip on television that just about broke my heart. I quickly went online to try to find out more about this repentant man and his deceased daughter. I found the letter below that Nathan Mathis sent to the Dothan Eagle, a local newspaper in Dothan, Alabama, back on August 22, 2012. With election time just around the corner, and watching and reading the news, “gay bashing” has begun again. I once told gay jokes and bashed gays, but a real true life story might make people think just as that true life story makes me think. On Oct. 11, 1972, Sue and I were blessed to have a baby girl, which we named Patti Sue Mathis. Patti was a wonderful child – happy, treated other children as she should, regardless of wealth or color, very athletic, tomboyish (I always had to pitch batting practice to her after Dixie Youth practice), very beautiful and smart. 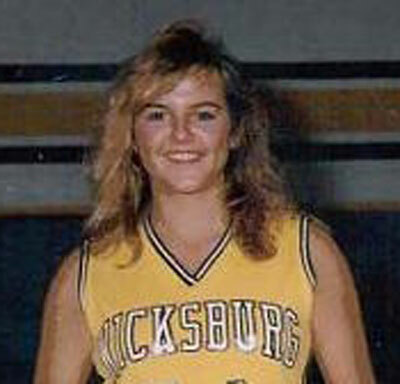 Patti may hold the scoring title at Wicksburg in basketball for girls. I’m not sure, but her points-per-game average was high. She was selected as the most valuable player at Enterprise State Junior College in softball. When Patti was a senior at Wicksburg High, I found out she was gay from a young friend she had told. I confronted Patti and I said some things to her that still eat on me to this day. I told her I was sorry that I said those mean things to her. Patti moved out, but came back home approximately four months later and sat down and cried and said, “Daddy, I don’t want to be gay. Will you please get me some help?” I told her that I sure would and I called UAB hospital and made an appointment. Patti had been raised by going to church at Christian Home Church of Christ, and she was there almost every time the door was open. Patti knew the story of Sodom, for oftentimes gay bashing was preached from the pulpit. Looking back now, I wonder how Patti must have felt, or if she even knew she was gay then. I never asked her. On March 22, 1995, Patti took her own life because she didn’t want to be gay anymore. She was tired of being ridiculed and made fun of. She was tired of seeing how a lot of people treat gay people. I found Patti that day. Sometime after Patti died, I attended church and a visiting preacher was preaching. About 10 minutes into the sermon, he bashed gays the rest of the way. As soon as the invitation song was given, I went out the door with one of the worst headaches I had ever had. I was ashamed of myself for sitting there and not defending Patti. I have not been much since. I have a hard time believing that God would allow Patti to be born as she was and if the doctors and psychiatrists were correct that “she could not help the way she was,” that Patti was going to bust hell wide open. I asked a local doctor recently if the medical profession had found a cure for being gay and he said, “No.” He changed the subject after that. I have no quarrel with any letter writers or readers on this subject. Believe what you want to. I only know that if you ever have a child or grandchild who is gay, you’ll think differently. 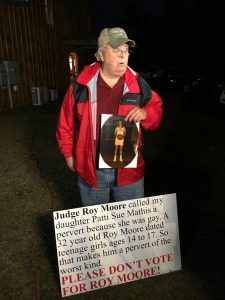 Whatever happened to “We hold these truths to be self-evident, that all men are created equal, that they are endowed by their creator with certain unalienable rights; that among these are life, liberty and the pursuit of happiness.” Does that exclude gays? May God have mercy on us all. I only know I miss my daughter Patti very much and I am grateful for having her as my daughter.